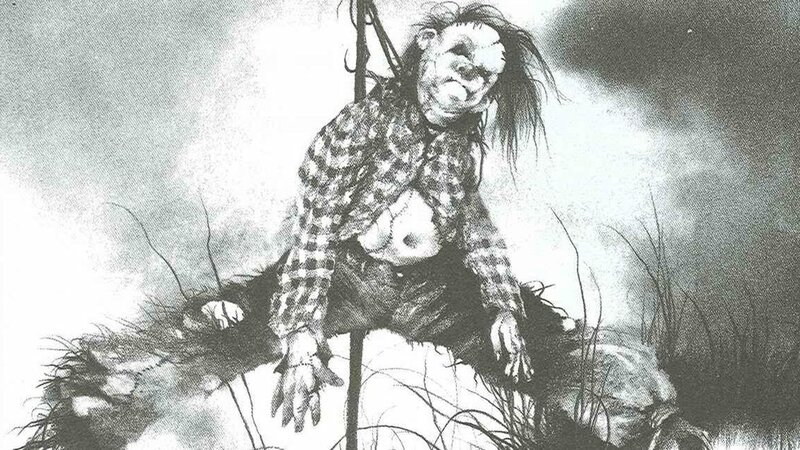 Up until this point, all we knew about the plot of the Guillermo del Toro-produced film adaptation of Scary Stories To Tell In The Dark was that it would follow "a group of young teens who must solve the mystery surrounding sudden and macabre deaths in their small town." Now we have some new information on the story to share with you and it comes along with the recent casting of Zoe Colletti in the lead role of a character named Stella. According to Collider, Stella is "a young girl still haunted by her mother’s disappearance on Halloween night — an incident that she suspects her father knows more about than he lets on. Years later, Stella and her friends are involved in a Halloween prank gone wrong. But are they really at fault, or was it the work of a vengeful spirit — a female ghost who uses her scary stories to come after the teens when they begin to investigate the disappearance of several children?" The report goes on to say that the script for the film features several references to the memorable stories from the book series. A couple of the references mentioned include the human scarecrow from the story "Harold" and the story about a girl with a pimple on her face that ended up being the result of a spider laying eggs in her cheek. That story is called "The Red Spot." I'm sure there will be a few other classic terrifying stories from the trilogy of books utilized in the film. I'm looking forward to seeing how exactly this story will play out. So far, I like what I'm hearing about the direction of the movie. The movie will be directed by André Øvredal (Troll Hunter, The Autopsy of Jane Doe) from a script co-written by del Toro, Daniel Hageman, and Kevin Hageman. The movie will start shooting in a few days. What do you think of the latest story details that have been revealed for the film?